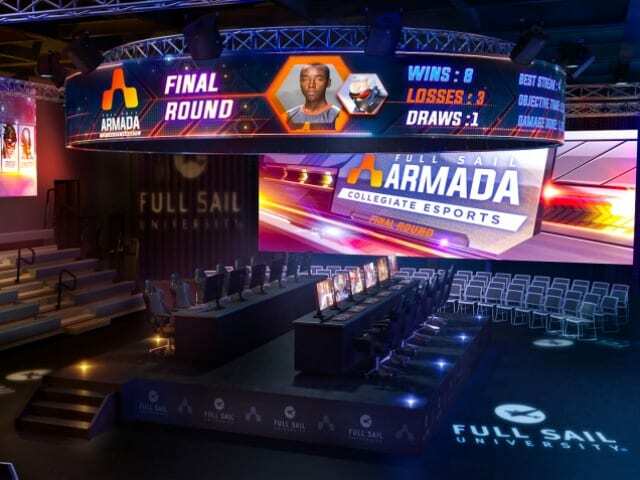 Full Sail University detailed plans to build a state-of-the-art esports arena in support of Armada, the university’s collegiate level varsity esports team, as well as other professional industry esports initiatives. The 11,200+ square foot facility would be the largest esports arena to date on any college or university campus in the US. The venue is scheduled to be completed by early 2019. Known as “The Fortress,” the arena will be fully equipped to host collegiate and professional gaming tournaments, live esports streaming events, and will be used to explore activities including drone programming, possibly drone racing, and more. According to the school, the customizable facility can support 1 vs 1 games, as well as 100 esports athletes playing simultaneously, and will include occupancy for over 500, allowing spectators to cheer for games live onsite, while remaining flexible for a host of uses.